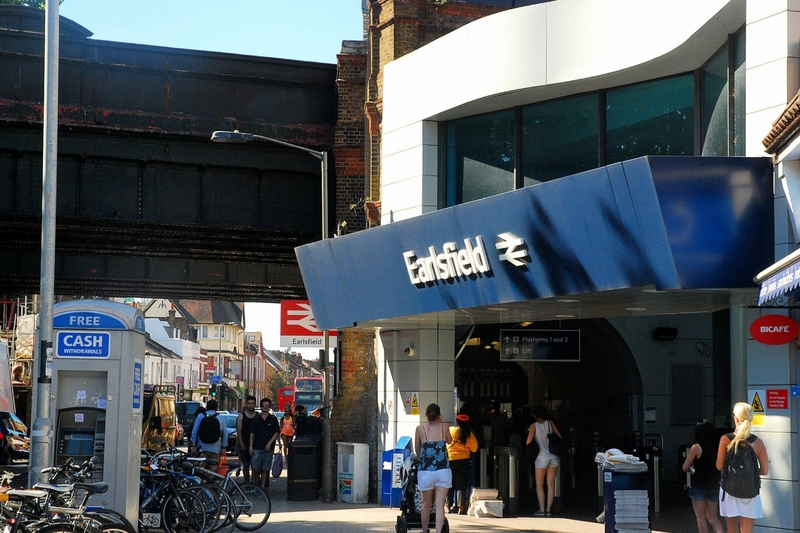 Earlsfield Area Guide - What makes Earlsfield so great? Where do Earlsfield locals go? Eat in or take away, this Chinese restaurant serves everyones favourite dishes - perfect for large groups. The best fish and chips in South London, right on Tooting High Street. Share your favourite place to go to in Earlsfield. "Wimbledon Stadium formed the backdrop for the video of Queen's 1978 hit 'Bicycle Race', in which naked women raced each other on bikes - it was banned in a number of countries"
Earlsfield is a great location to everything! It has a superb location. You rarely have to wait more than five minutes for a train into Waterloo and the service is even more frequent during the rush hour. The journey to Waterloo takes around 15 minutes and the connection to the underground from Vauxhall is super-convenient; you can easily be at Oxford Circus in less than half an hour. In the other direction, many other areas of south-west London and Surrey are easily accessible, including Kingston, which is less than 20 minutes away and has a thriving shopping centre, including John Lewis. Via Clapham Junction, Westfield at Shepherds Bush can be reached in less than half an hour. Considering how small Earlsfield is it has a huge range of restaurants - Thai, Indian, Korean, Brazilian, great fish and chips, a couple of brasseries and a steak house on the way! What do you think of Earlsfield? Earlsfield is an area within the London Borough of Wandsworth, London. Earlsfield is a typical London suburb and comprises mostly residential Victorian terraced houses with a high street of shops, bars, and restaurants (very few chain stores) between Garratt Lane, Allfarthing Lane, and Burntwood Lane. Although it has had a slow start and lags behind its neighbour Clapham, Earlsfield - with its schools and family facilities as well as its primary transport link into central London - has a strong housing market. What are your favourite things about Earlsfield? Find out how much your flat or house is worth om Earlsfield. Feedback about living in Earlsfield has been submitted directly by the public and may not neccessarily reflect the views of Foxtons. The description of Earlsfield was modified from Wikipedia and is available under the Creative Commons licence. Land Registry data is Crown copyright. All the views and contributions contained within Foxtons Local Life are those of the contributors. All content is assessed before publishing for taste, however free opinion is encouraged. Foxtons accept no payment or sponsorship for content that is posted about Earlsfield.